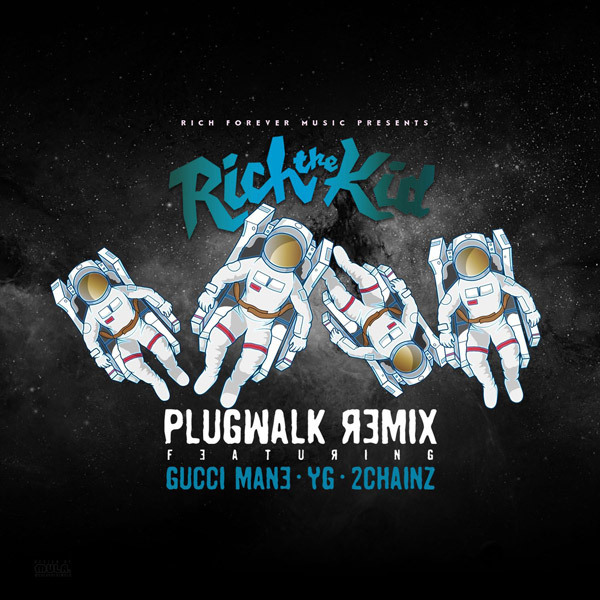 Rich The Kid recruits YG, Gucci Mane and 2 Chainz for "Plug Walk" remix. The original Plug Walk, which peaked at number 13 on The Billboard Hot 100 can be found on the Atlanta rapper's debut album The World Is Yours. Released in March, "The World Is Yours" features guest appearances from Kendrick Lamar, Rick Ross, Lil Wayne, Swae Lee, Chris Brown, Future and more. Do the Plug Walk below.